Katrina Hurricane devastated New Orleans in August 2005. The Ninth Ward was hit the hardest, devastating residents and rendering their neighborhoods uninhabitable. A policy of relocation was met with resistance as residents attempted to salvage their homes and neighboorhoods. 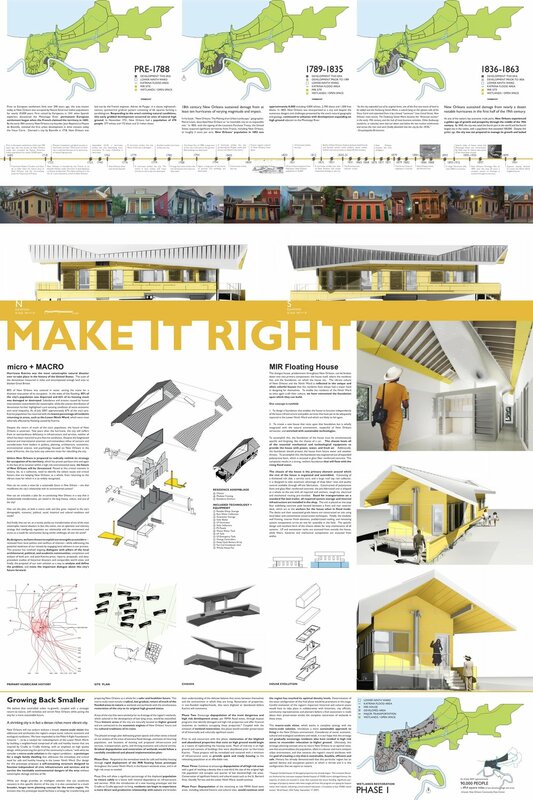 In 2008, a partnership with the City of New Orleans and the Make it Right Foundation resulted in the Float House, an innovative home typology for residents of flood-prone areas that is able to safely rise with waters during a flood. Until the 1890s, New Orleans was an estuary. As land developed, it was in order of its elevation from high to low. Not until the early 1960s were the lowest-lying areas of marsh and wetlands drained to accommodate housing. This type of development, coupled with the reality of rising water levels and a sinking land base, presents a serious threat to the city. 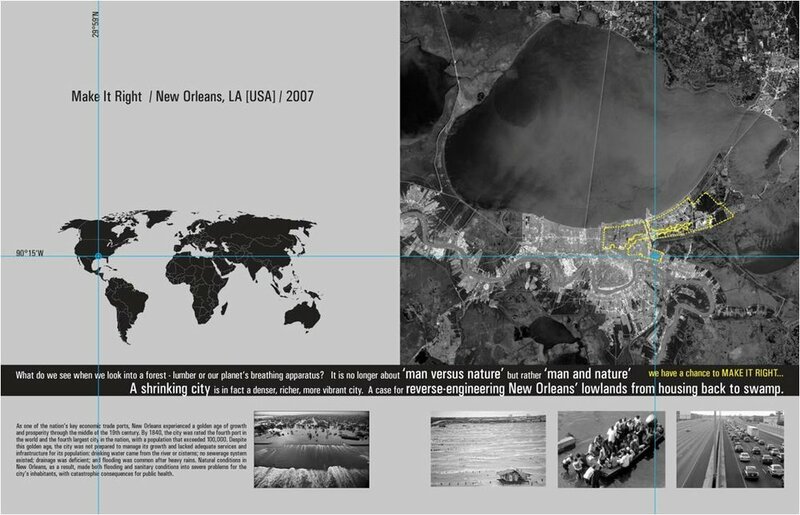 The challenge for this project was immediately apparent: how do we occupy the land of the Lower Ninth Ward given its ecological condition? At the micro scale, we wanted to maintain the street culture of New Orleans—the interaction among residents that has traditionally taken place at the stoop level. At the macro scale, we wanted a house that would respond to changes in its surrounding landscape by engineering it to break from the city grid and switch to emergency mode, at which time it becomes completely self-sufficient.